India’s leading SUV manufacturer, Mahindra & Mahindra is taking the fight to next level. The Y400 from Mahindra all-new premium SUV is expected to launch in late 2017 and is going to be positioned above Mahindra XUV500 SUV. The all new Mahindra Y400 is expected to take on potential rivals like Toyota Fortuner and Ford Endeavour. The upcoming premium SUV from Mahindra is nothing but the next-generation Rexton which is codenamed as Y400, Dimensions like 4.85m length, 1.96m width and 1.8m height of LIV-2 concept indicates that the production version of Mahindra Y400 is going to be a full-size, 7-seat SUV aimed to take on rivals like Fortuner and Endeavour. 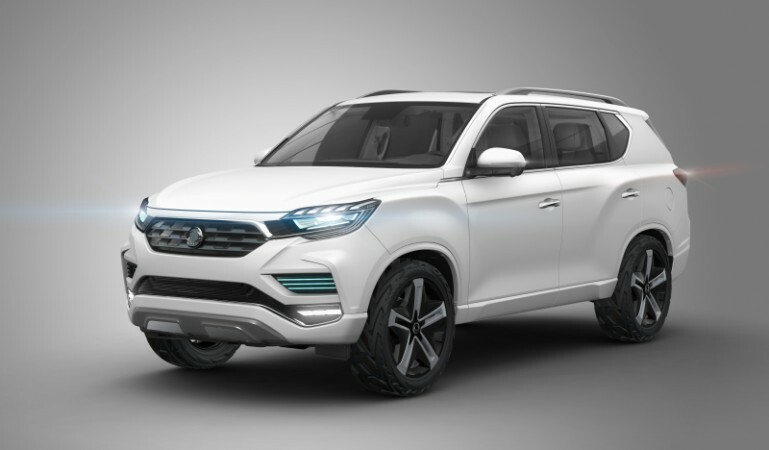 The all new Mahindra Y400 is going to be built on a new-generation body-on-frame chassis which is also seen in Ssangyong crew-cab pick-up (codename Q300). The Q300 is being developed to rival against Ford Ranger and Toyota Hilux in global markets. Mahindra Y400 – What’s new? Mahindra Y400’s wheelbase of 2865mm is 120mm more than that of Toyota Fortuner adding more interior space. In Mahindra Y400, you can expect a dash-mounted 9.2-inch infotainment screen with a host of functions like Wi-Fi, Apple CarPlay as well as Android Auto connectivity. For rear passengers, there is going to be 10.1-inch displays in the back of the front head rests and individual ‘captain’ seats . Other luxury features include lounge-like experience, electric sidesteps and technology that creates an illuminated path for occupants approaching or leaving the car. When it comes to engine, Mahindra Y400 will be offered in both petrol as well as diesel options. The engine of Mahindra Y400 is fully future-ready to comply with 2020 BS VI emission regulations. The 2.0-litre GDi turbocharged petrol engine delivers 225hp of power and 349Nm of torque, the engine is mated to 6-speed automatic or 6-speed manual transmission gearbox. Mahindra Y400’s 2.2-litre turbodiesel produces 184hp of power and 420Nm of torque and is mated to a six-speed manual or seven-speed automatic gearbox. For the Indian market, only the diesel version will be released initially.